It's not always easy to say no to sweets. For many, it's darn near impossible to pass on a pastry or piece of pie after a perfectly packed meal. Stuffed stomachs have been stretched a little tighter time and time again by variations on cookies and cakes over the history of human consumption, but one time-tested cure for those ailing from the all-powerful sweet tooth is the perfect duo of ice cream and milk. Before we get into how to make the best milkshake ever, let's start with the basics. To 21st century dessert lovers, a milkshake is a blend of milk and ice cream that's not too thick and not too runny. It has to be the perfect ratio of liquid and solid (more on that in a second), but this viscous beverage's origins were a little more sinister than your basic milkshake. According to Highland Park Soda Fountain, our beloved "milkshake" was coined as early as 1885. Back then, though, "milkshakes were an alcoholic whiskey drink that has been described as a 'sturdy, healthful eggnog type of drink, with eggs, whiskey, etc., served as a tonic as well as a treat.'" By 1900, milkshakes dropped the eggs and whiskey in favor of syrups including strawberry and vanilla. Over time, they were ordered with homemade ice cream. Today, you can order something as decadently disastrous as a milkshake made with an entire piece of pie in it. 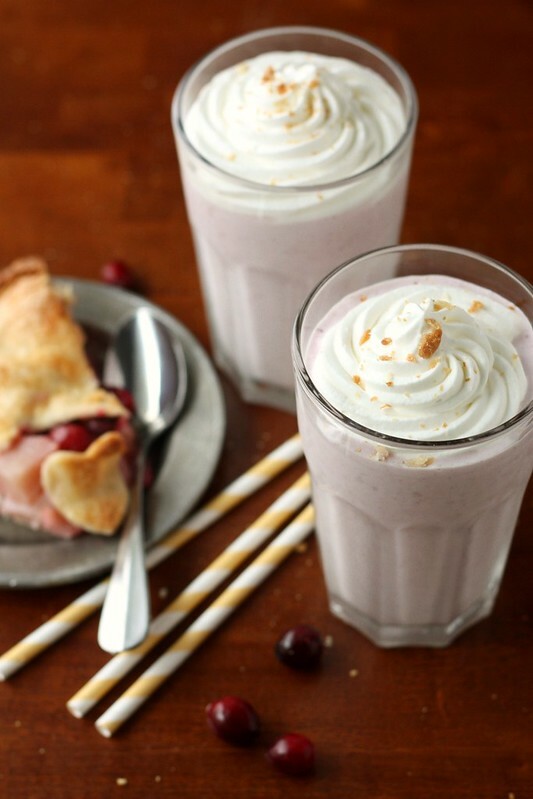 Without including the piece of pie, the previously pictured Any Pie Milkshake lists two cups of vanilla ice cream and one cup of milk as the foundation of the shake. In other words, a pie-free Any Pie Milkshake is based on the very same foundation for a simple vanilla milkshake or strawberry milkshake. For a smoother blend without an immersion blender, let your ice cream soften just a tad before adding it to the blender for the right consistency. Regarding ratios, Bobby Flay says otherwise. His Basic Vanilla Milkshake recipe uses just one-third cup of whole milk and one and three-quarters of a cup of ice cream, and produces a thicker shake. Paula Deen's Vanilla Milkshake takes the cake, so to say, when it comes to having extraneous ingredients. She includes four cups of vanilla ice cream, two cups of milk ("for less thicker [sic] milkshakes"), eight tablespoons of sugar, and two teaspoons of vanilla extract. So which ratio is best? To start, a classic vanilla milkshake does not need sugar or vanilla extract added. It really is as simple as ice cream and milk, put together in a ratio of five scoops (about two and one-half cups) to one cup. If you're using frozen yogurt, the ratios will be different as full-fat milk has a thicker consistency than low-fat milk or lighter yogurt. If, after tossing your solid and liquid dairy products into the blender and blending until smooth, you really do think it needs some more sweetness or more vanilla, try adding each one teaspoon at a time, blending again, and sampling until you're pleased. The five scoops to one cup ratio will provide you with a perfectly drinkable shake that is still quite thick. The consistency is perfect add-ins and different kinds of ice cream flavors. If you want, say, a chocolate milkshake, you can do a few things. You can add chocolate syrup to the above recipe, you can start with chocolate ice cream instead of vanilla ice cream, or you can do both. Get fancy by adding whole fresh strawberries or frozen strawberries to the chocolate shake mixture for a tart, bright surprise, perfect for those times when you don't want a whole strawberry shake, but just a taste. The same recipe works quite well with mint chocolate chip ice cream in place of vanilla, doused with chocolate syrup and a healthy serving of whipped cream. Mix it up by adding your own chocolate chips or Oreo crumbles to each tall glass for pouring. If you want a peanut butter milkshake, you can choose to use add peanut butter to the vanilla or chocolate mix, or you can start with peanut butter ice cream. The old-school milkshakes will always have the flavor base of the shake in the ice cream. Oh, and if you can't get over the idea of whiskey in your milkshake, check out this Bourbon Chocolate Milkshake recipe courtesy of someone else who's also certain that booze plus ice cream equals true happiness.